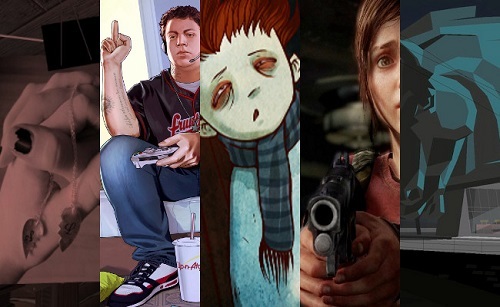 Our first podcast of the year at PopMatters is up and it’s us looking at last year’s games. Chris, Nick and myself rundown our top 5 games of the year or rather we start off by doing that, but near the end it sort of goes off the rails and we end up talking about a few more. Only two games appeared on more than one list and one appeared on all three lists. We also get to talk about some honorable mentions. Then, and I forgot about this, we wrap up by discussing the very concept of Game of the Year awards. Honestly, I think the discussion came off very well. I was certainly more articulate than usual. The problem when I start speaking is all eloquence and apparent coherence leave me. But I think I did very well explaining why we honored the game that we did. The top 5 I give on the show wasn’t my top 5 though. I hadn’t decided at the time of recording so I was working from a short list and choosing games I thought should be noted. So, go on and take a listen. I love being apart of these discussion and hope to continue doing so.